Hey guys! Madigan, here. 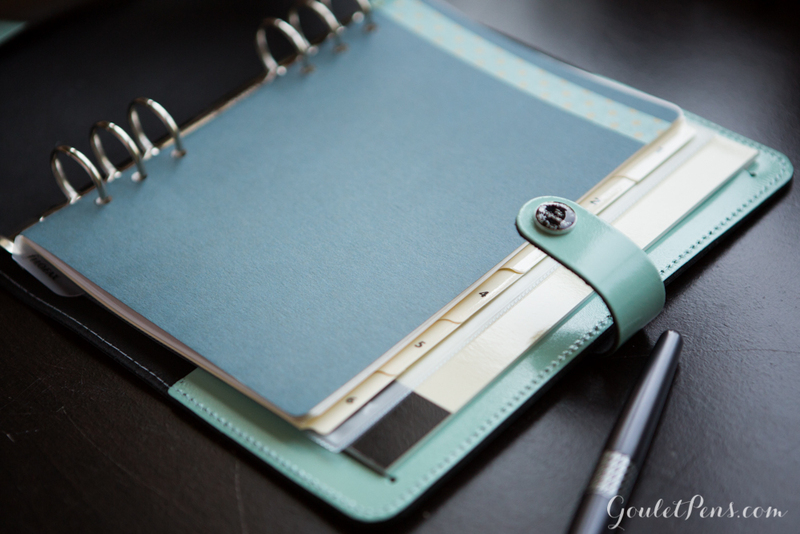 As a productivity junkie, I was super excited when we started carrying Filofax Organizers. 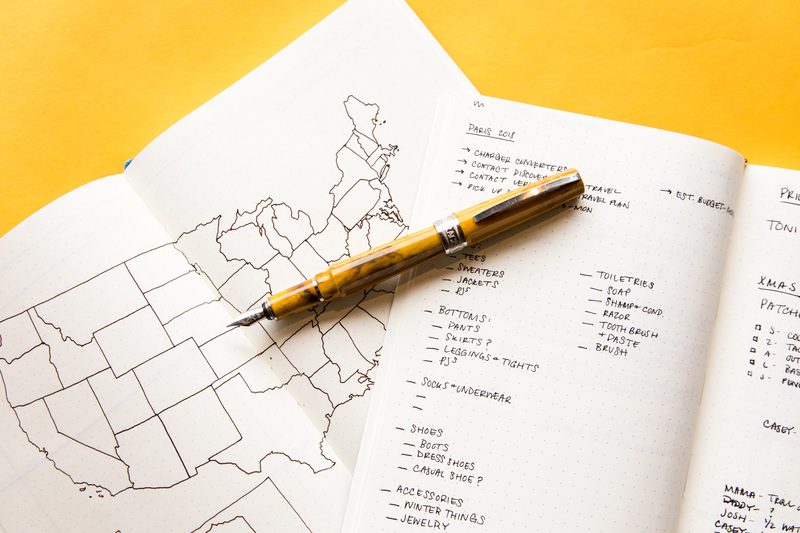 Late last fall, I transitioned from a simple To-do list system, to bullet journaling in my Leuchtturm1917 Notebook. I’m totally in love with the system and have seen how insanely effective it is in my work and personal life. At this point, I’m not sure I could live without it! I certainly wouldn’t be able to accomplish nearly as much. 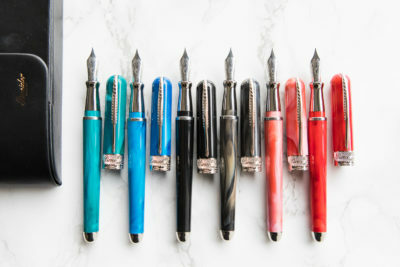 That being said, I have had some frustrations with my bullet journal- the inability to rearrange pages or remove things that are no longer needed. I’ve also found the monthly and long term yearly planning doesn’t quite work for me. I also work on a lot of longer term projects and need a large space to brainstorm and outline. 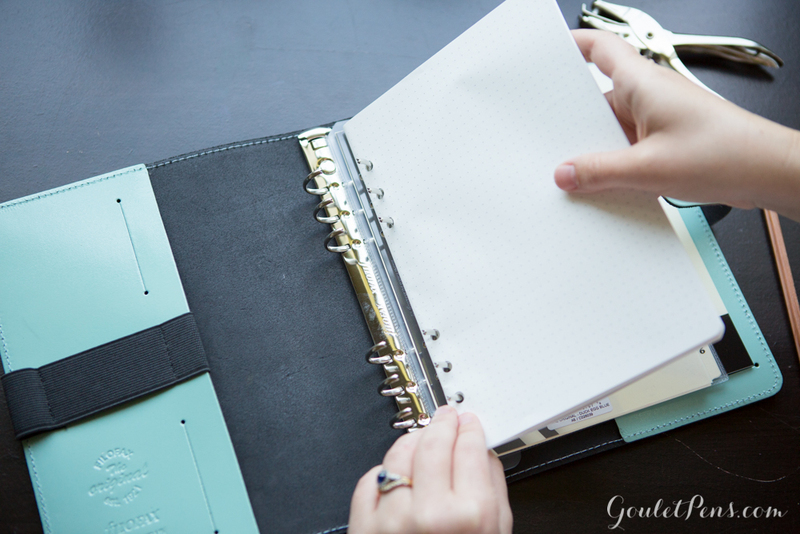 I picked up a Filofax Organizer with the intent to try out that system. 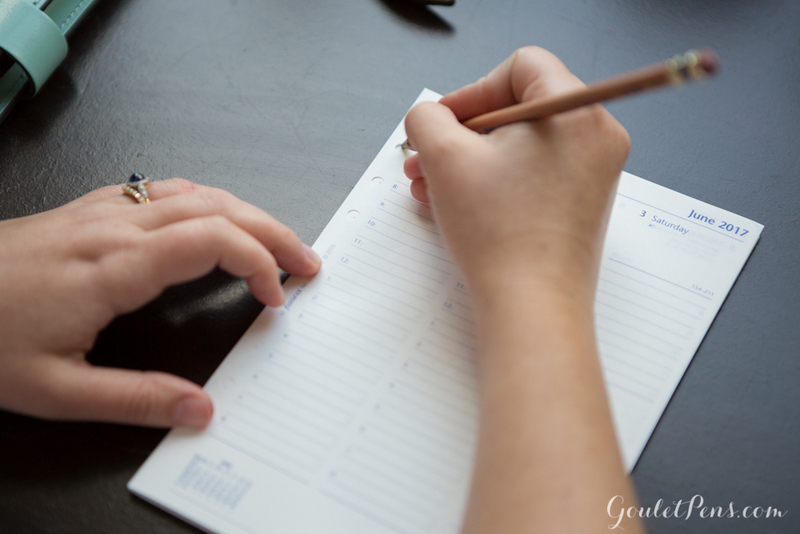 However, since I was already used to running my day-to-day schedule in the bullet journal format, transitioning to a different style has proven problematic. 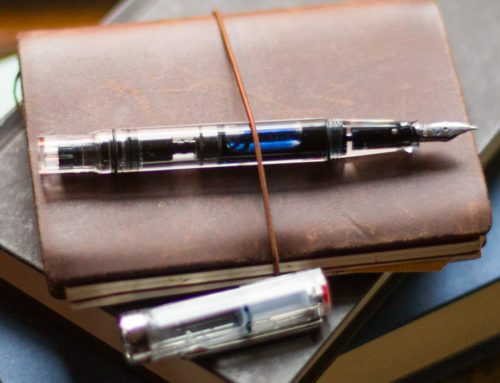 Plus, to be totally honest, some of the Filofax paper doesn’t work well with fountain pens. 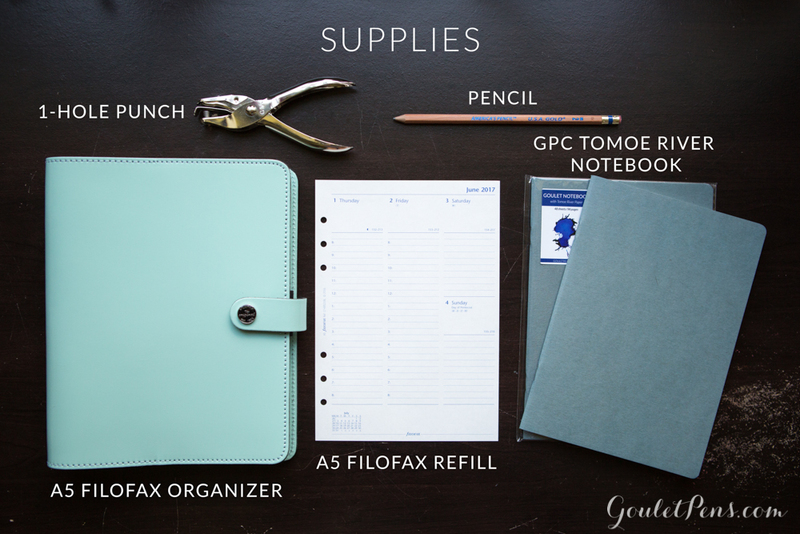 I needed dot grid paper that fit in a Filofax and was fountain pen friendly… the Goulet Notebooks with Tomoé River paper to the rescue! remover. Pry the staples up and the paper should easily slip out from the cover. Step 2: Mark your area to hole punch. 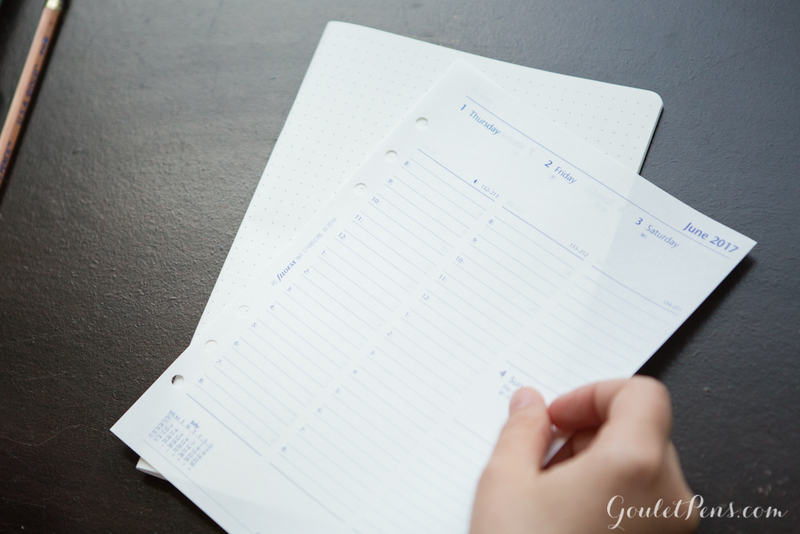 Take a sheet of paper that comes in your Filofax Organizer. 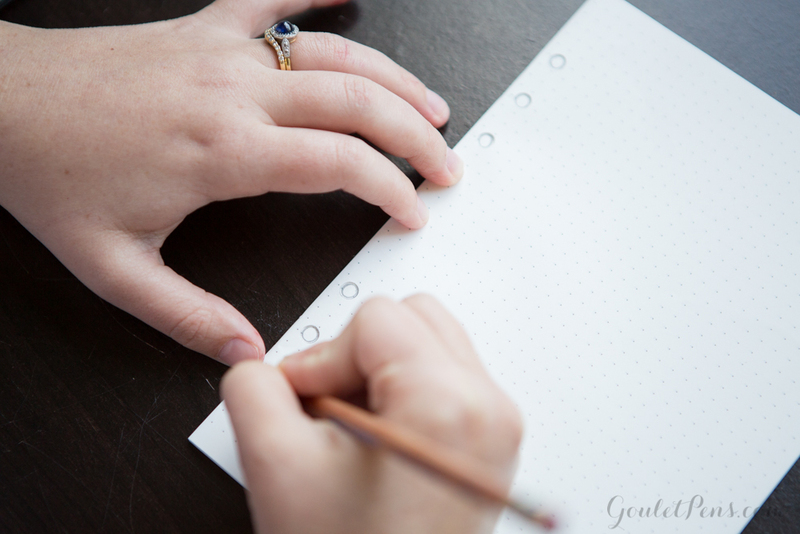 Line it up even with the notebook paper and using a pencil, draw a circle to outline where the holes should go. 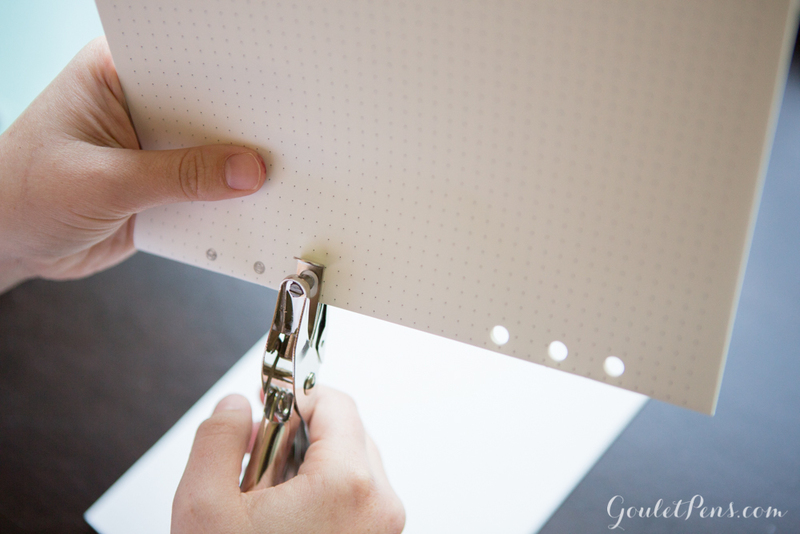 Pull out four sheets at a time (this will give you 8 sheets to hole punch through). 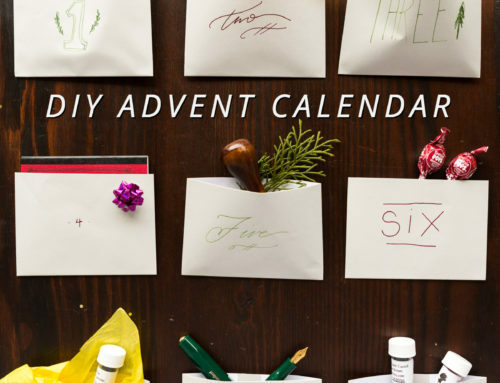 Take your single hole punch, line it up with the circles you drew, and punch through the paper. 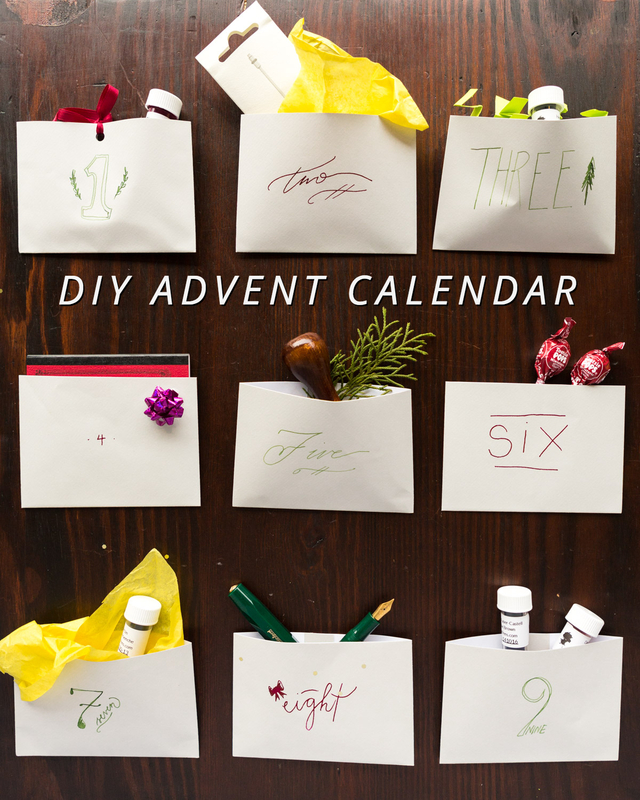 Take your four sheets of hole punched paper and put the next four sheets inside. 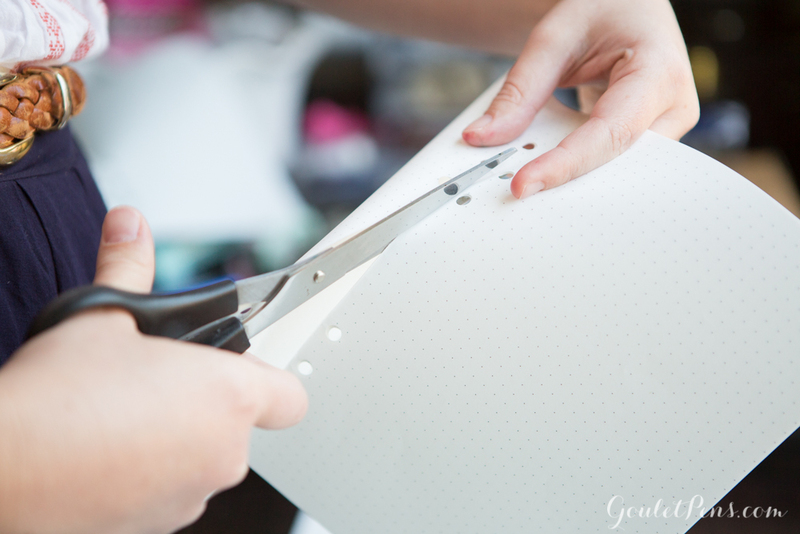 Using this “template” draw circles for your hole punch. 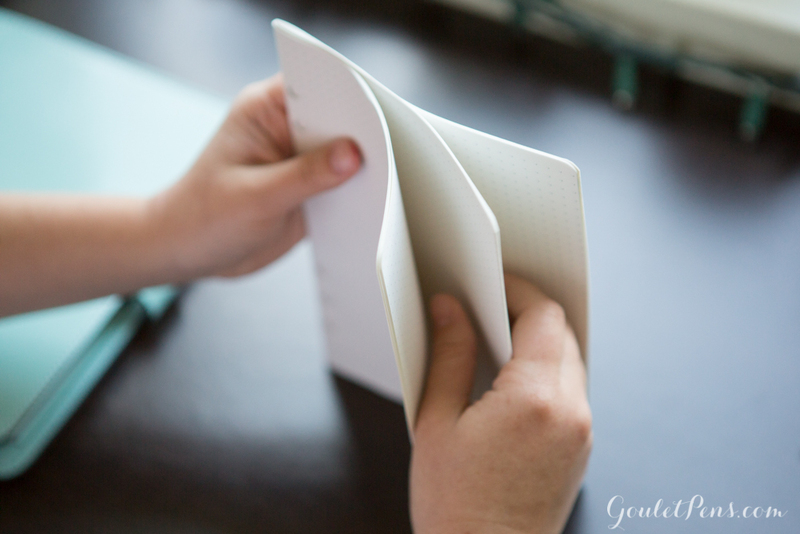 Continue to do this until all of the pages of the notebook are hole punched. 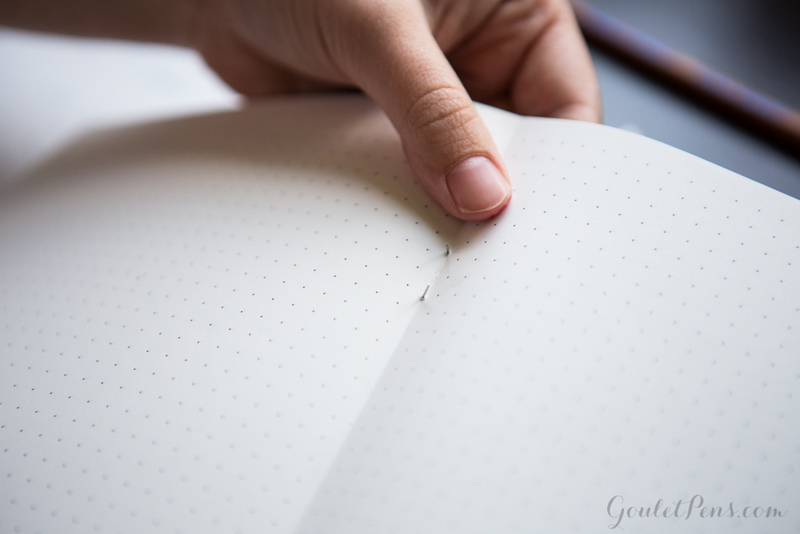 If you want to write on both sides of the page and have the ability to move pages around, you’ll want to cut your paper in half. 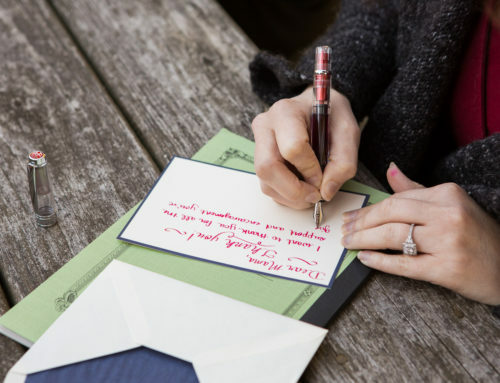 I used scissors, but you could also use a paper cutter for faster cuts. 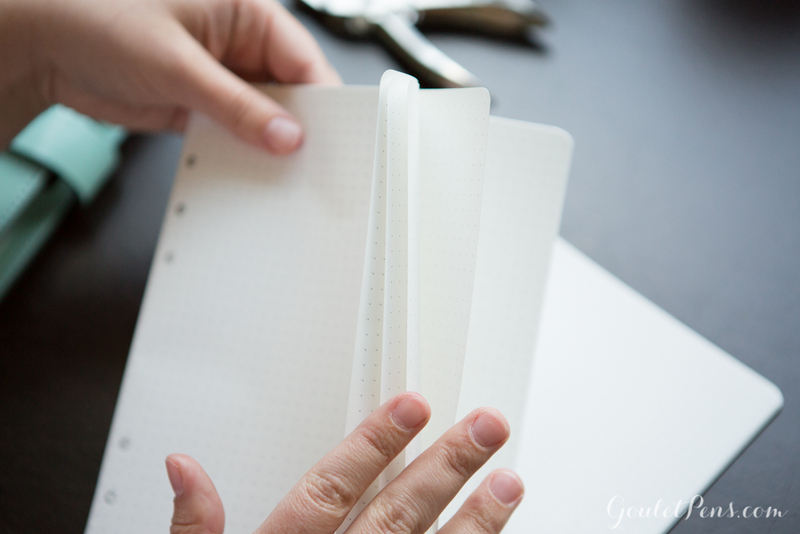 Now that you have your hole-punched loose leaf Tomoé River paper, slip it into your notebook. Voilà! 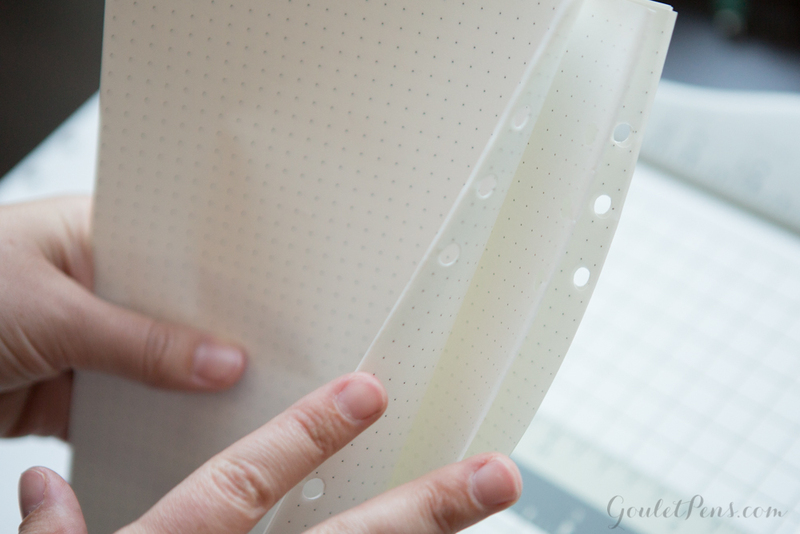 You just made a fountain pen friendly, dot grid equipped Filofax bullet journal! Customize at will. 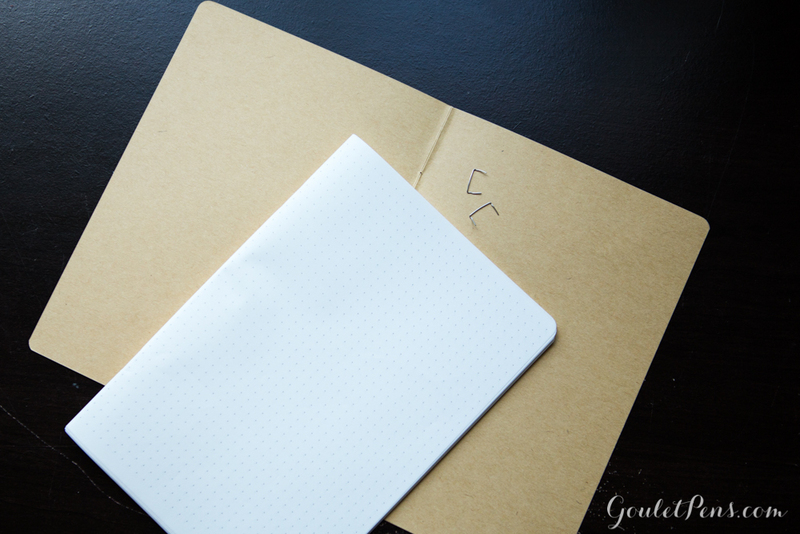 Optional Upgrade: Use the Notebook cover! 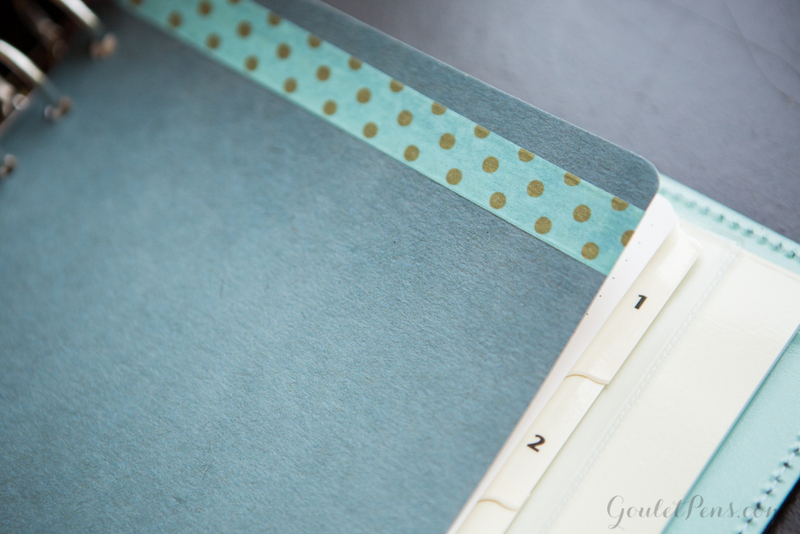 After I was done creating my Filofax bullet journal, I started writing on it and quickly realized that if you are writing on the back side of the page it gets tricky. 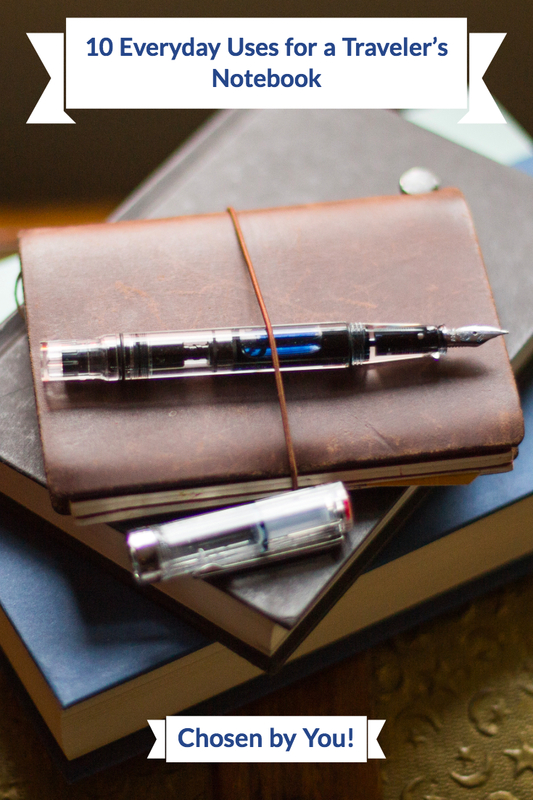 The pockets of the Filofax and pen loop make for a difficult writing surface. Since I had the cover of the Goulet Notebook just sitting there, I decided to use it as a barrier. I cut it in half, hole punched it, and decorated it with a bit of Washi tape. 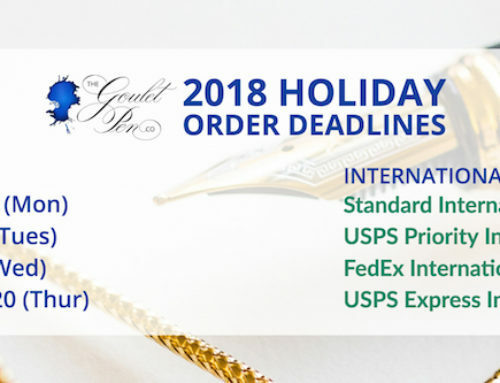 This isn’t a must, but I think it added a nice personal touch. 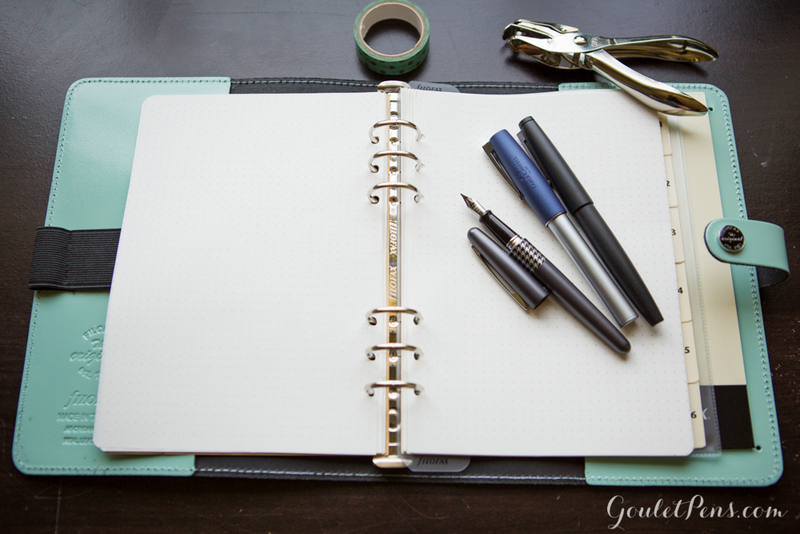 Goulet Notebooks in A5 are available in dot grid, blank, graph, and lined pages for $9. 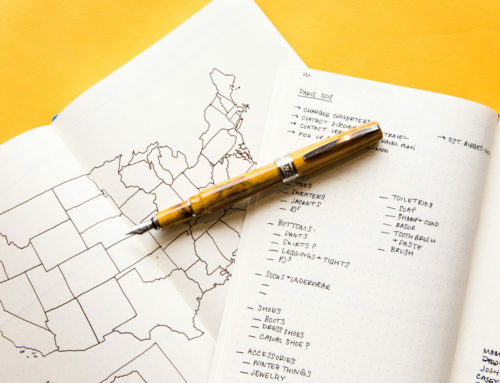 If you want to turn your personal size Filofax into a bullet journal, I suggest using a Traveler’s Notebook size Goulet Notebook. 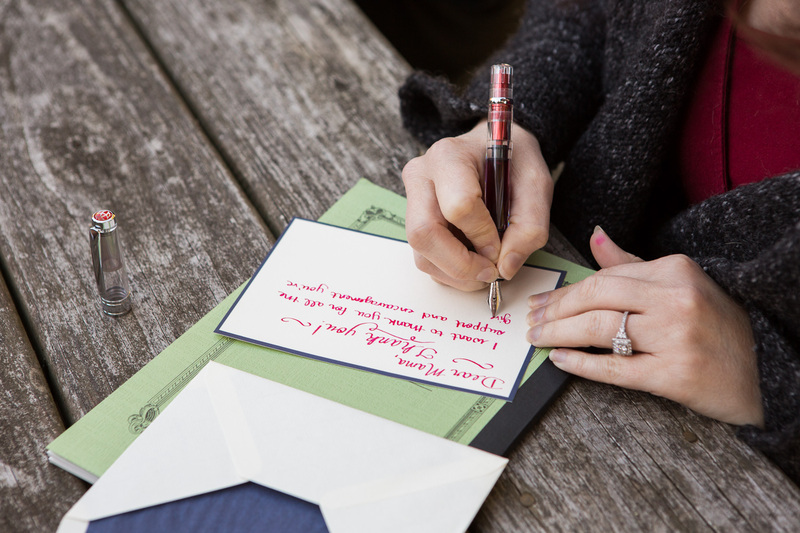 You’ll have to cut a few inches off the top of the notebook to make it fit, but the paper width is about the same. What do you think? 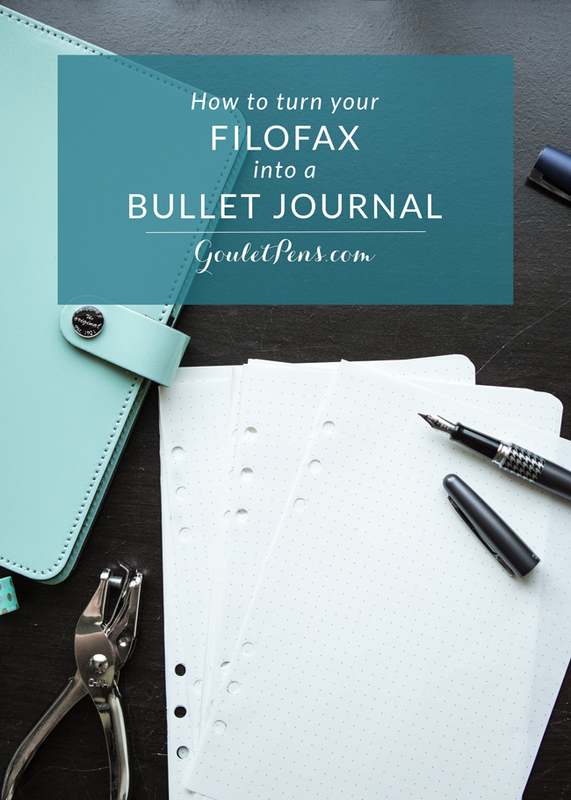 Will you be using your Filofax as a bullet journal? Leave a comment below and let me know!